The No Limits Educational Center in Las Vegas opened in 2013. It is a comprehensive after-school program that serves children with hearing loss from all economic backgrounds in the greater Las Vegas area. There are 3 sessions each year: Fall, Winter, and Spring. Each 10-week session culminates in a graduation ceremony during which every child makes a speech, often a child’s first time speaking in front of an audience. 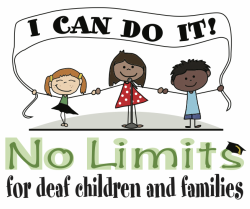 As a result of the comprehensive No Limits program, children with hearing loss are learning essential skills that will allow them to attend college and become productive members of society.